I got this piece in a small lot of Hasbro figures on eBay, and it was obviously the odd one of the bunch. The seller didn’t seem to know much about what they were selling, so I assume that this originally belonged to someone else. 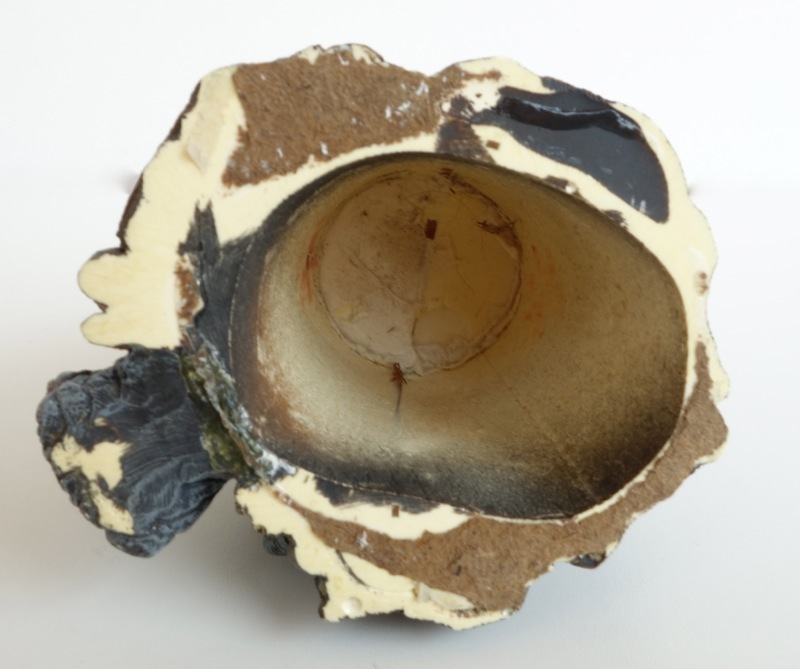 It’s fairly large at around 5 inches tall and 4 inches deep, and it’s made of resin. It’s hollow as you can see below, and must have been cast from a mold, so I’m guessing that someone made a small run of these at some point. Whether it was a kit that people painted themselves or was provided completely painted I don’t know, but I’d say this one is painted fairly well (although it has a few minor chips now). 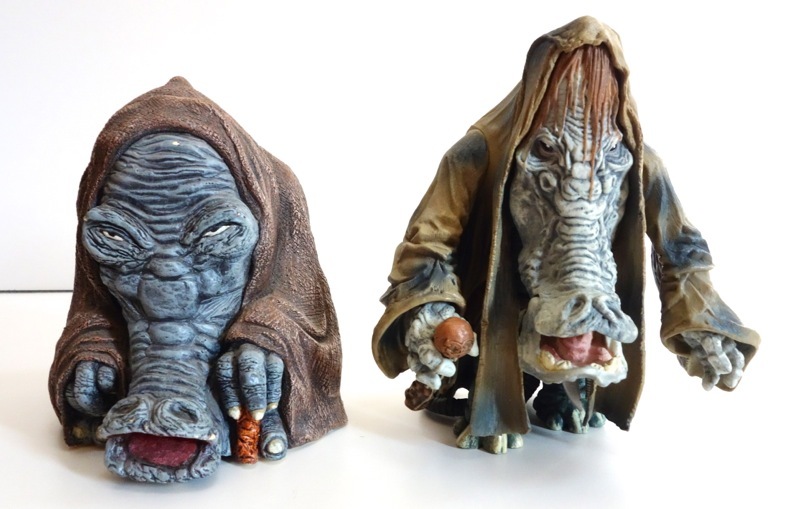 It’s obviously meant to be Ephant Mon and is roughly the same scale as Hasbro’s action figures, so I can only assume that it was created to allow someone to have the character in their Jabba display back before Hasbro had released their own version of the character (shown below). I’d be very interested to hear if anyone had seen this statue before. 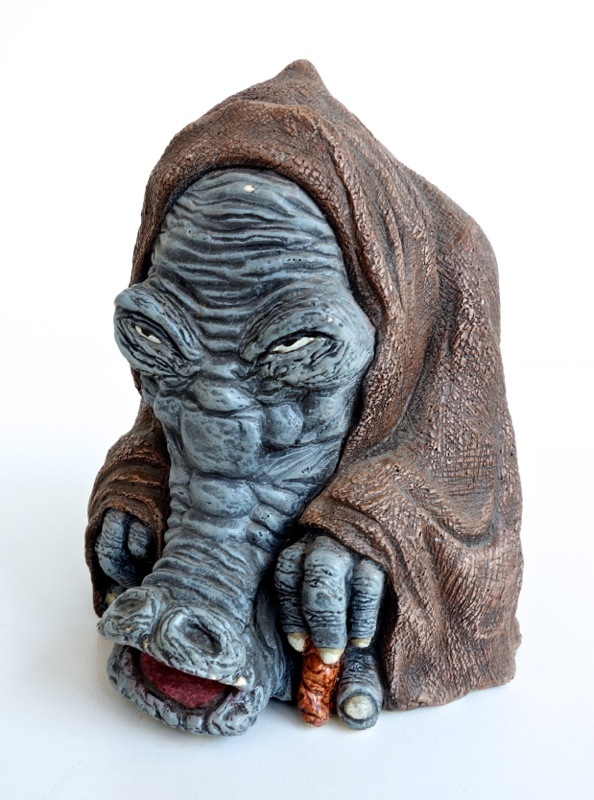 I think I’ll put it in my Power the Force 2-era Jabba display.